http://mikefinn.booklikes.com Mike Finn 2.5 "Knots and Crosses - Rebus #1" by Ian Rankin - perhaps it had more impact back in 1987? 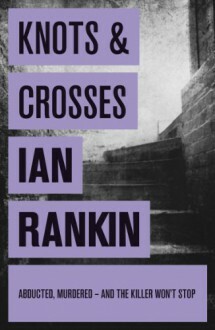 text "Knots and Crosses - Rebus #1" by Ian Rankin - perhaps it had more impact back in 1987? I got stuck, what else can I say. Quiet language with just the right amount of detail.